Spelling Again drew clear under jockey Shaun Bridgmohan in the final yards to turn back favored Heykittykittykitty in the $100,000 Open Mind. 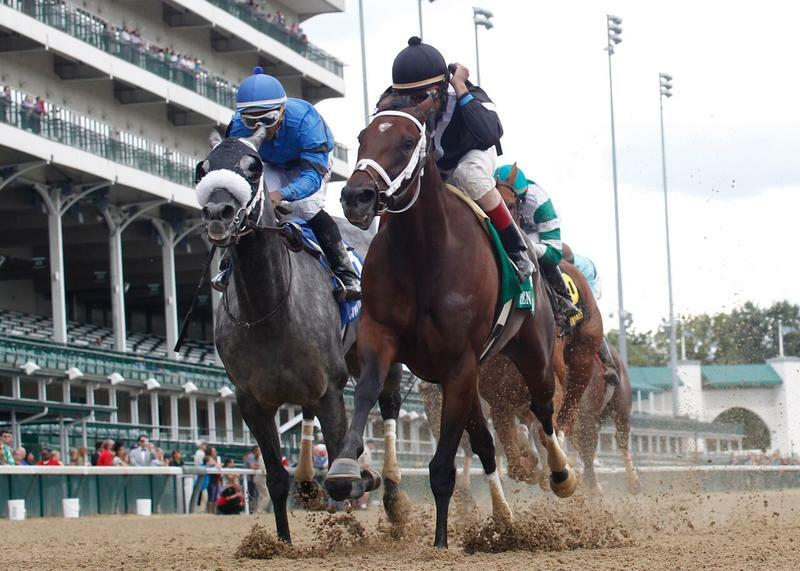 Spelling Again went straight to the front and turned back a late challenge by Heykittykittykitty in deep stretch to Saturday’s seventh running of the $100,000 Open Mind by one length – the first of four stakes races on the day at Churchill Downs. 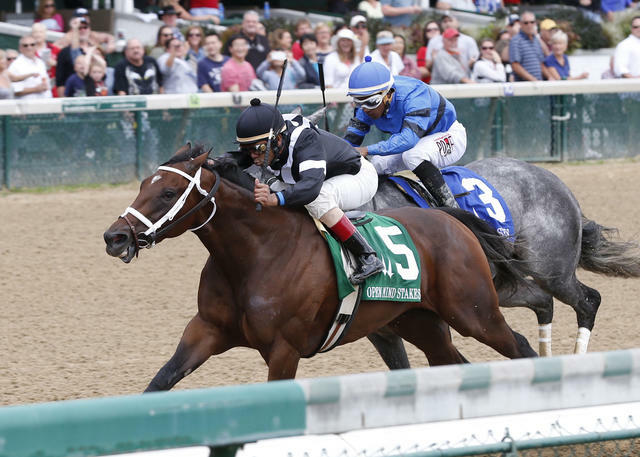 The victory by the 4-year-old filly gave 35-year-old trainer Brad Cox, a graduate of nearby Iroquois High School, his 100th career victory at Churchill Downs and first local stakes triumph. Sea Jay Racing’s Spelling Again, ridden by Shaun Bridgmohan, stopped the teletimer in 1:09.96 for six furlongs over a fast track to beat five other fillies and mares. Claimed for $40,000 in May and transferred to Cox, it was her first career stakes victory and second win in a row. Sent to post as the 2-1 second betting choice, Spelling Again broke quick from the gate and opened a clear early lead through fractions of :22.42 and :45.99. Heykittykittykitty, the 9-5 favorite, collared the leader at the head of the stretch from the outside but Spelling Again wasn’t done yet. She fought back with a determined from the inside to prevail by a length. Spelling Again paid $6.40, $3.60 and $2.80. Heykittykittykitty, ridden by Ricardo Santana Jr., returned $3.20 and $2.20. Anusara, with Francisco Torres in the saddle, finished another 1 ¾ lengths back in third and paid $3.40. Elusive Fate, Bird Maker and Brown Eyed Mary completed the order of finish. Spelling Again, a Pennsylvania-bred daughter of Awesome Again out of the Alphabet Soup mare Spelling, earned $61,380 for the win. Overall, she has won four of 13 starts with a trio of seconds and a pair of thirds. Her career earnings now stand at $167,406. Prior to the Open Mind, Spelling Again won a swift second-level allowance/optional claiming event at Indiana Downs where she won one-mile race in 1:36.53 by 1 ¾ lengths over heavily-favored House of Sole.